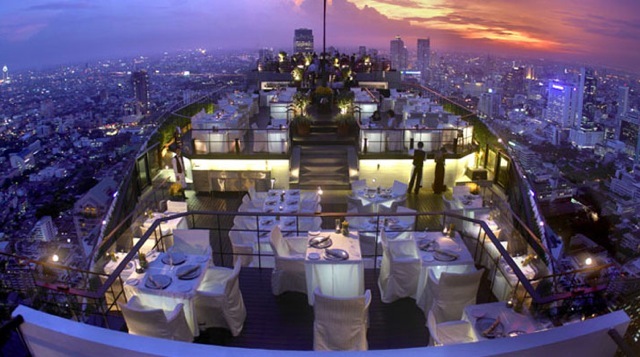 For uninterrupted views of Bangkok’s burgeoning metropolis, The Banyan Tree’s Vertigo & Moon Bar is the best of the best. 61 storeys up, this open-air outpost is achingly romantic and has the added bonus of being a restaurant-come-bar so you can indulge on fresh seafood as you take in the sites. An electric global city buzzing with energy, Mumbai is starting to get serious about its rooftop bars. With precious space ever diminishing, the roof is taking-off, whether you are Bollywood royalty or a thrill-seeking tourist. 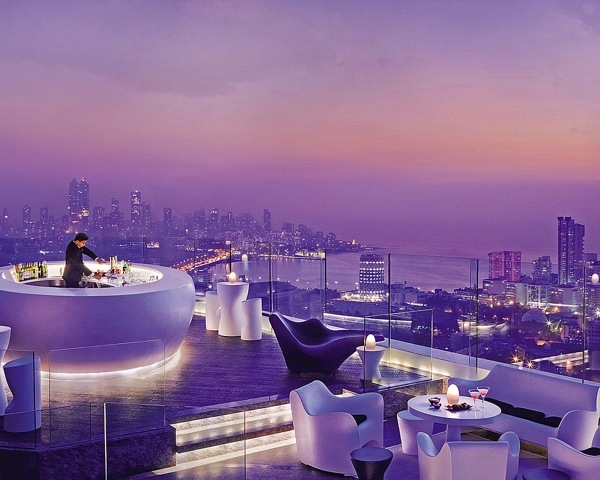 Aer Bar covers the entire top floor of Mumbai’s Four Seasons Hotel and as well as being the city’s highest rooftop, boasts impressive sea and city views. Attracting some of the city’s brightest young things, Lantern at The Fullerton Bay Hotel is one of Singapore’s sexiest spots. 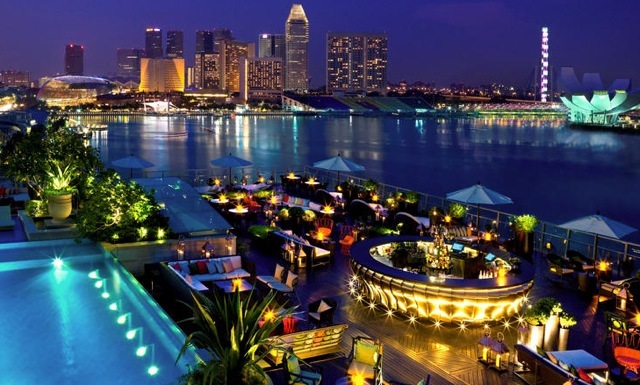 A rooftop oasis complete with pool and killer views, from Lantern you look out onto Marina Bay Sands and the glittering Clifford Pier, or Red Lantern Pier as it was known by Singapore’s earliest settlers. Check out the Fullerton Bay’s sister hotel, The Fullerton. 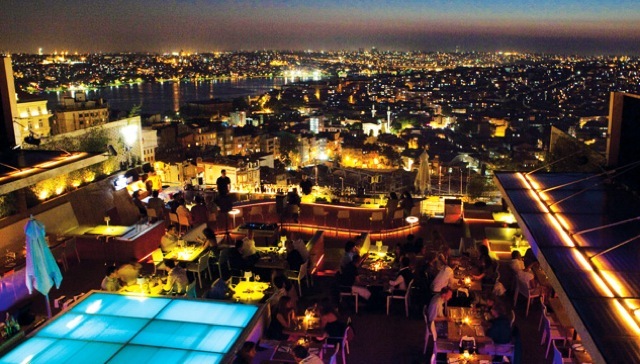 Rooftop bar-come-nightclub, Nu Teras is where Istanbul’s cool kids hangout. Boasting a swimming pool, sets played by some of the world’s best DJs and sensational views over the city, Nu Teras serves delicious Turkish food before the party crowd arrive later in the evening. With views over the Golden Horn and the Bosphorus River, Nu Teras gets understandably busy on weekends. Confirmed by the new hit show, Lena Dunham’s ‘Girls’, Williamsburg, Brooklyn, is New York’s new neighbourhood on the block. Right in the heart of the action you’ll find King & Grove which channels a low-key vibe; it feels just like the Soho House’s little sister hotel. 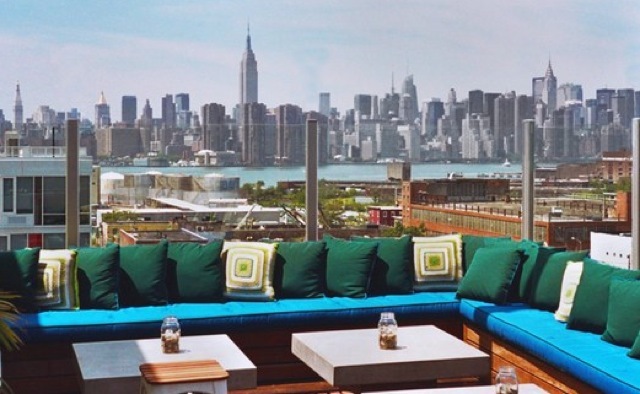 It’s rooftop offers some of the best New York skyline views anywhere in the city. 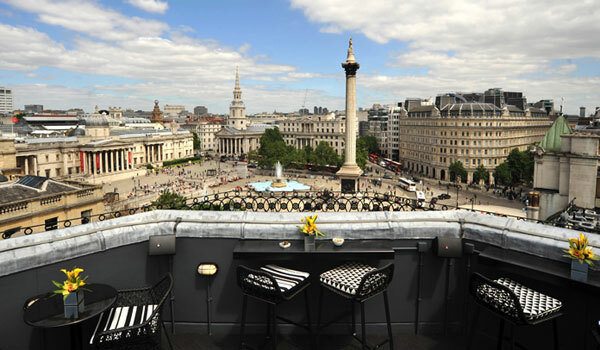 If it’s heritage cityscapes you’re after then it doesn’t get much better than Vista Bar at The Trafalgar Hotel. As the name suggests, you will be treated to views of Nelson’s Column, the National Gallery and St. Martin in the Fields. Be warned however; Vista Bar is often booked out for private functions, so it is always worth calling ahead and the bar charges £5 for entry before any drinks. 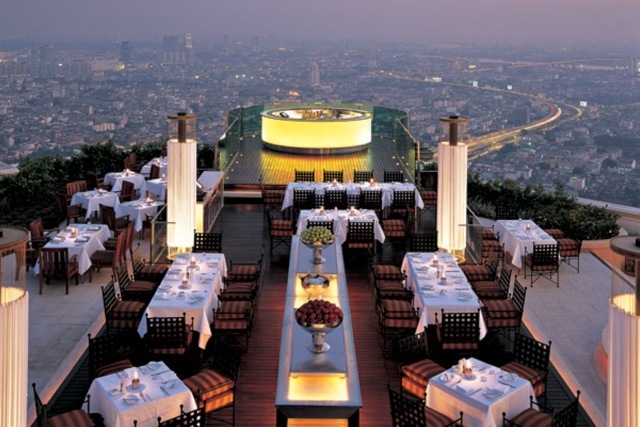 The world’s highest open rooftop bar, this Bangkok beauty is not for the faint hearted. Perched at the very top of the State Tower, Bangkok’s second tallest building, Sky Bar at The Lebua is 63 floors above street-level meaning views are stupendous. Movie fans might recognize the jaw-dropping location from the final scenes of The Hangover 2. 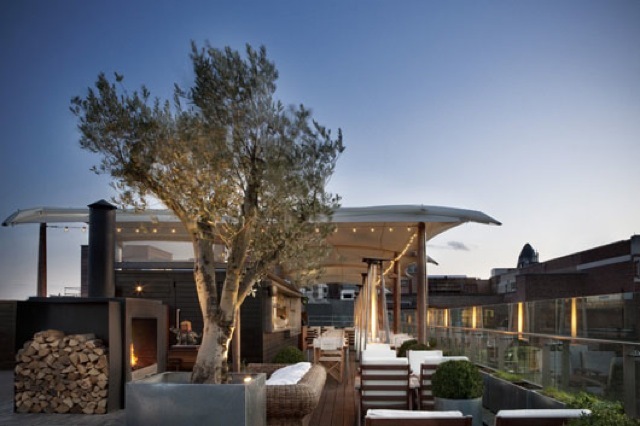 Not able to get in to the exclusive Shoreditch House? 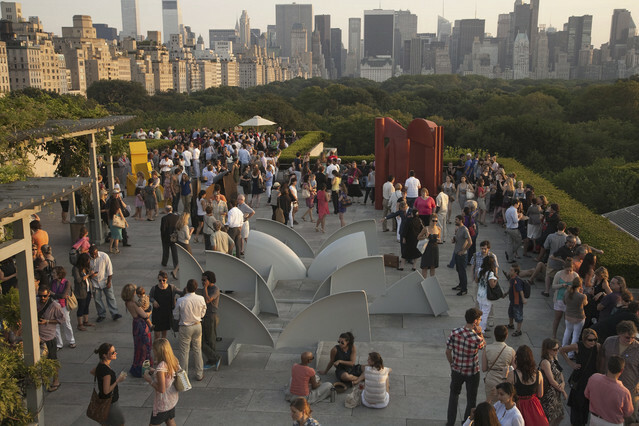 No worries, Boundary Rooftop is the best alternative. Serving food and drinks and with cosy chairs and blankets, Boundary Rooftop is a great place to congregate at the end of the day. Be prepared however for a hefty queue on nice summer days; the City of London and Olympic Park views prove popular. 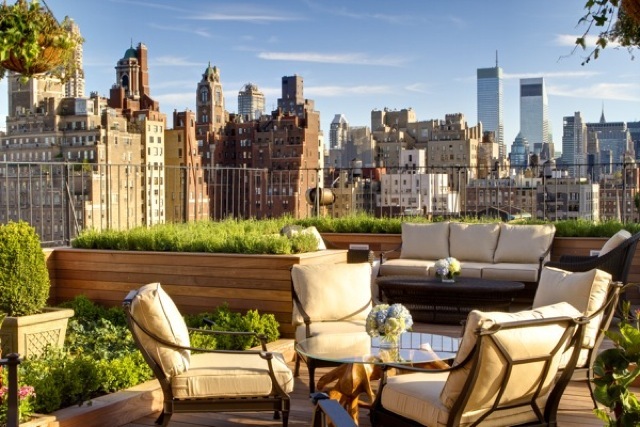 Although frustratingly a private hotel bar only open to hotel guests and members of the Patron’s Club, there is no denying that it doesn’t get much better than the Private Roof Garden at The Surrey when you’re talking views of New York’s skyline. In addition to a range of signature cocktails, guests can also indulge in savoury snacks courtesy of the hotel’s Cafe Boulud downstairs. A fan of rooftoop bars like me? Send me your recommendations (and photos) from around the world – I’d love to add them to my wish list!